By the chaotic Third Intermediate Period in Egypt, which came the in first half of the first millennium B.C., a lot of local rulers were battling it out for control of the Two Lands. But before the Assyrians and Persians made Kemet their own, there was a final resurgence of culture and classic Egyptian iconography from their neighbors to the south in Nubia, who made this spot their own. Meet the fantastic pharaohs of the Twenty-Fifth Dynasty. At this time, Egypt's decentralized power structure allowed one powerful individual to sweep in and take control, as a Nubian king named Piye (ruled c. 747-716 B.C.) did. Located to the south of Egypt in modern Sudan, Nubia was intermittently ruled by Egypt over the millennia, but it was also a land full of fascinating history and culture. The Nubian kingdom of Kush was alternately centered at Napata or Meroe; both sites exhibit Nubian and Egyptian influences on their religious and funerary monuments. Just take a look at the pyramids of Meroe or the Temple of Amun at Gebel Barkal. And it was Amun who was, of course, the god of pharaohs. At a victory stele set up at Gebel Barkal, Piye portrays himself as an Egyptian pharaoh who justified his conquest by acting as a truly pious monarch whose rule was favored by the patron deity of Egypt. He slowly moved his military power northward over several decades, all while solidifying his reputation as a pious prince with the elite in the religious capital of Thebes. He encouraged his soldiers to pray to Amun on his behalf, according to the stele; Amun listened and allowed Piye to make Egypt his own by the late eighth century B.C. Unusually, once Piye conquered all of Egypt, he went home to Kush, where he died in 716 B.C. Piye was succeeded as pharaoh and king of Kush by his brother, Shabaka (ruled c. 716-697 B.C.). Shabaka continued his family's project of religious restoration, adding on to Amun's great temple at Karnak, as well as sanctuaries at Luxor and Medinet Habu. Perhaps his most famous legacy is the Shabaka Stone, an ancient religious text that the pious pharaoh claimed to have restored. Shabaka also re-established the ancient priesthood of Amun at Thebes, appointing his son to the position. After a brief, if unremarkable, reign by a relative named Shebitqo, Piye's son Taharqa (ruled c. 690-664 B.C.) took the throne. Taharqa embarked on a truly ambitious building program worthy of any of his New Kingdom predecessors. At Karnak, he built four majestic gateways at the temple's four cardinal points, along with many rows of columns and colonnades; he added to the already beautiful Gebel Barkal temple and built new sanctuaries across Kush to honor Amun. By becoming a builder-king like the great monarchs of yore (we see you, Amenhotep III! 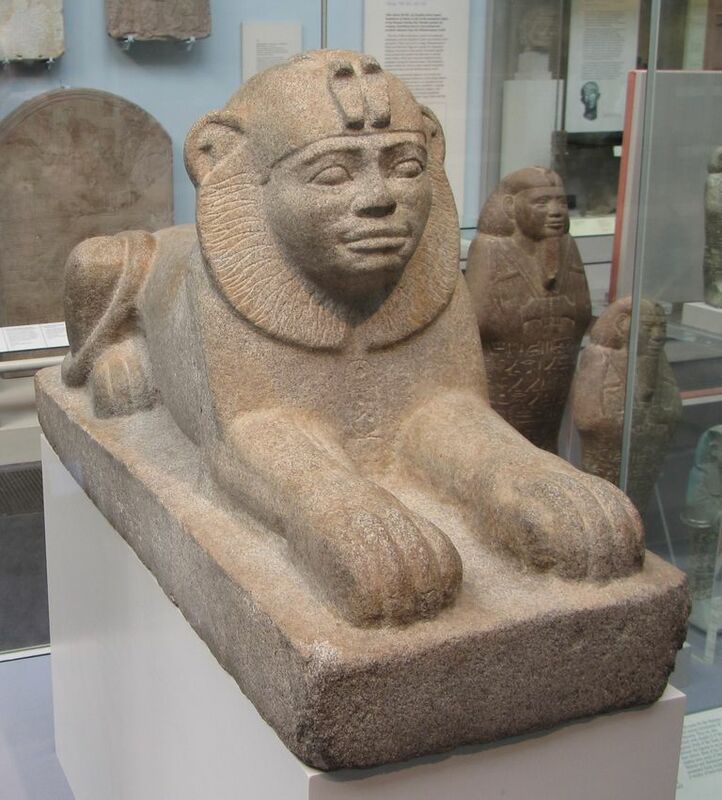 ), Taharqa both established his pharaonic credentials. Taharqa also pressed Egypt's northern boundaries as his predecessors had done. He reached out to create friendly alliances with Levantine cities like Tyre and Sidon, which, in turn, provoked the rival Assyrians. In 674 B.C., the Assyrians attempted to invade Egypt, but Taharqa was able to repel them (this time); the Assyrians were successful in taking Egypt in 671 B.C. But, during this series of back-and-forth conquests and tossing out of the invaders, Taharqa died. His heir, Tanwetamani (ruled c. 664-656 B.C. ), didn't hold out long against the Assyrians, who sacked the treasures of Amun when they captured Thebes. The Assyrians appointed puppet ruler named Psamtik I to reign over Egypt, and Tanwetamani ruled concurrently with him. The final Kushite pharaoh was at least nominally acknowledged as pharaoh until 656 B.C., when it became clear Psamtik (who later expelled his Assyrian patrons from Egypt) was in charge. What Was the Kingdom of Kush? How Did Pharaoh Thutmose III Plunder Megiddo?